A new research has set the stage for clinicians to potentially use levels of a pancreatic cancer patient’s PHLPP1 and PKC enzymes as a prognostic and for researchers to develop new therapeutic drugs that change the balance of the two enzymes as a means to treat the disease. The study, published in Molecular Cell, was led by Alexandra Newton, professor in the Department of Pharmacology at the University of California, San Diego, School of Medicine, and Timothy Baffi, a graduate student in her lab, Xinhua news agency reported. The new study built on the team’s work in 2015 that found the enzyme PKC, which was believed in previous studies to promote tumour growth, actually suppressed it. The latest study took the investigation a step further by uncovering how cells regulate PKC activity and discovered that any time an over-active PKC is inadvertently produced, the PHLPP1 “proofreader” tags it for destruction. “That means the amount of PHLPP1 in your cells determines your amount of PKC,” Newton said. “And it turns out those enzyme levels are especially important in pancreatic cancer.” The team observed 105 pancreatic cancer tumours to analyse the enzyme levels in each one. About 50 per cent of patients with low PHLPP1/high PKC lived longer than five-and-a-half years. While still in the earliest stages, Newton hoped this information might one day aid pancreatic diagnostics and treatment. 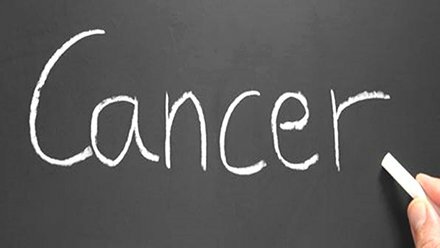 Pancreatic cancer is caused by the abnormal and uncontrolled growth of cells in the pancreas, a large gland in the digestive system. It typically doesn’t show symptoms in the early stages. Sufferers tend to develop signs, such as back pain and jaundice, when it has spread to other organs.